Another outing for Evaleight, this time the town and brickworks sections to Tonbridge. I feel very lucky to have these chances to help operate the layout as the amount of thought and effort that has gone in to it (disclaimer: before I joined the group!) is immense and this is reflected in the comments received from the viewing public – not to mention the guy on Saturday who was still sketching details after the show had closed. This photo is unfortunately a bit yellow due to the lighting conditions in the hall but shows the amount of detail in the brickworks scene. Click through to Flickr and view the large version to really get a feel for it. 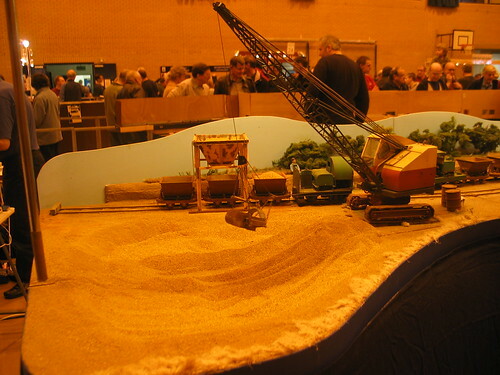 Narrow gauge was quite well represented at the show, with Eden Lock and That Dam Railway in 009. 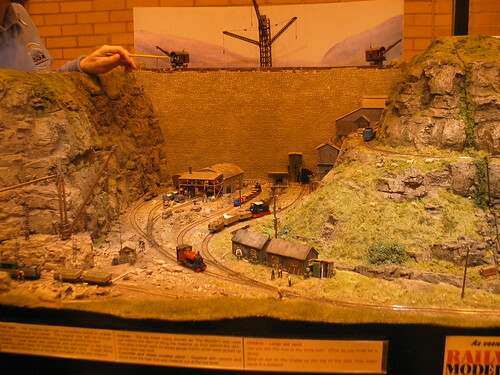 The latter is particularly impressive, as you can see from the picture above the scenery truly dominates the trains and the standard of modelling is very high. 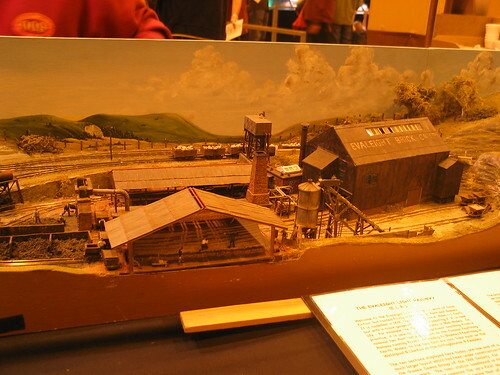 This entry was posted in evaleight, exhibition, model railways, narrow gauge, photos, tonbridge. Bookmark the permalink.